2. History of the Brand: How Did Herbalife Nutrition Start? 7. How Does Herbalife Work? 8. Does Herbalife Nutrition Work? 13. Any Herbalife Nutrition Lawsuits? 16. Would Herbalife Nutrition Work with Your Diet? 17. Verdict: Would I Recommend Herbalife Nutrition? If you were born in the last 20 years, you know someone who has sold Herbalife or claims it finally helped them reach their weight loss goals. I then decided to try a few products myself and see if science supports their claims, what the nutrition profile looked like, if it was safe, how easy to use it was, and finally if it was a smart purchase. And my verdict… is definitely something that will get tongues wagging. Herbalife provides high-quality, science-based products that deliver the nutrients your body needs to thrive on a daily basis. If you’d like to try it for yourself, Herbalife can be purchased through Amazon or using their Official Site. A famous Multi-Level Marketing (MLM) company, Herbalife offers weight management supplements. Theoretically, Herbalife Nutrition products promote a healthy, active lifestyle; however, there is some question about their ability to deliver on their promise. Will they create the healthy diet and exercise habits necessary for permanent weight loss and life-long vitality? We’re not sure as the only success we’ve seen is from those who already practice restricted calorie diets. To get more answers, we’ll just need to dig deeper. We’ll talk about that “healthier and happier” part later in the review. As an MLM company, most of the business is done through distributors who make a profit off of products they already purchased. So herein lies the rub. Can you trust someone, who usually does not have any dietary or fitness training, to sell you a product where they benefit if you buy and they lose money if you don’t? And not to make matters worse, but in 2016 Herbalife was forced by the Federal Trade Commission (FTC) to pay over $200 million to thousands of Herbalife distributors. Of course, our research team is keeping an eye on a company who behaves unethically with its distributors – what could that mean for their customers? Milk chocolate-covered protein snack with 140 calories per bar. As a company that proudly markets itself as a maker of healthy products, you’d expect that their products contain the very best, wholesome, organic ingredients. 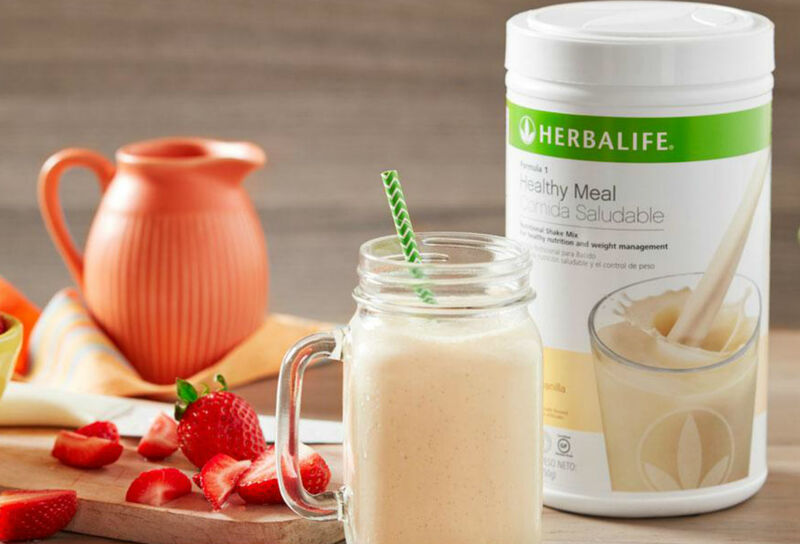 Nutrition information is not readily available on the Herbalife Nutrition website, so customers cannot research the information prior to purchase. Fifty-eight percent of all Herbalife Nutrition products are manufactured in factories owned by the company in the US and China. There is no published information on where the other 42 percent is manufactured. Most of the science associated with Herbalife has focused more on the adverse effects of the products rather than successes. However, here are some of the benefits the company says people can experience with their products. To maximize your health and fitness goals, begin with Formula 1 Nutritional Shake Mix, Formula 2 Multivitamin Complex and Cell Activator. Customers who use the products long-term in concert with a calorie-restricted diet may experience weight loss and maintenance. However, that is not unique to Herbalife. There is very little expert, peer-reviewed research on the span of Herbalife Nutrition products, and often more negatively charged. Their products are also not approved by the FDA. In fact, the FDA has publicly ordered Herbalife that they must change any impressions they give in their marketing that the FDA approves their products as the FDA does not. However, some Herbalife products follow the general research information that a high-protein diet is more impactful than a conventional diet for weight loss. Calorie-restriction, which is also one of the tenants of Herbalife’s plan, is also successful in losing weight. Products like their high-protein shakes have been shown to help people lose weight and improve digestion when used as a meal replacement. Shakes reduce stress on the system and the volume of liquid makes the body feel full. It’s also important, however, to be sure to get plenty of whole, natural foods in the body for vitamins, minerals, fiber, and clean energy. Herbalife nutrition focuses on the micronutrients and macronutrients you need to thrive each day. If I’m being honest, Herbalife Nutrition is something just short of average. There are tons of fillers and unnatural ingredients in their products that can wreak havoc on the endocrine system (soy and high fructose corn syrup for example) and can disrupt any chance at weight loss. And not to be repetitive, but there is very little scientific data backing any of their nebulous “happier and healthier” promises. And the data that is there isn’t good. Many of the reviews on their site come from distributors, who themselves benefit if consumers make purchases so these cannot be considered unbiased, even if there is some truth to them. Some of the products taste okay, but most people aren’t that impressed by what they’ve tried and often “boost” the shakes with berries or other flavors (increasing sugar and calories). Many reviews talking about “weak” flavors or a chalky aftertaste. Of course, be a smart consumer and look at the ingredients in whatever you may ingest or use. Those with allergies should be especially careful and ask any questions they need to before using a Herbalife product. In May of 2017, Herbalife voluntarily recalled its Peanut Butter Protein Bar due to contamination by a fish allergen. Thankfully, there were no adverse health issues connected to the product. As previously mentioned in this review, Herbalife recently paid a $200 million settlement to their distributors in a lawsuit brought by the Federal Trade Commission. While the Herbalife Nutrition website posts tons of glowing reviews, posts at Consumer Affairs paint a different picture. Some people are thrilled, and others are much less so. Their overall rating is two stars out of five, so that doesn’t suggest a lot of customer goodwill. Herbalife is probably the WORST company I have ever dealt with. They are also massive LIARS! Be warned and do not believe the 30-day money back guarantee that they advertise as this is completely untrue. I bought the products and used them for a week but throughout I had a reaction to them and suffered massive stomach pains, I was very unwell, and my doctor advised me to stop taking them. I got in touch with ** who sold them to me, ** on Instagram (beware) and she agreed to give me a refund and asked me to send the products back, for which I did and paid £12 to do so. Herbalife is a good product. The formula one, which is your meal supplement, taste more like a smoothie than a diet shake. Overall the products are of good quality. If you take as recommended you should have results. I lost 40lbs my first round, it is a lifestyle change but the results are great. The people who sell it can be a bit pushy but if you overlook that and get to know the products offered you can understand why it has been in business for over 30 years. When I started on the Herbalife products. The first thing I noticed was headaches and itching. I was breaking out in hives so bad I couldn’t sleep at night. Then my hair started to fall out. I call my coach. She told me that it’s nothing she can do about it. Herbalife’s major competitor is Shakeology though they are very different. Herbalife is a larger and more well-known company; however, Shakeology prides itself on using natural, whole foods as ingredients. Shakeology also contains more protein, vital amino acids, and super foods than Herbalife. All that said, Herbalife is a much more affordable product. After Shakeology, 310 Shake and Slimfast are its closest competitors, both of which are less expensive than Herbalife. I don’t think highly processed foods, whether labeled as healthy or not, help your body lose weight. I also don’t trust the company and their lack of transparency about ingredients and manufacturing. However, some people have had success with their program. You may know someone who experienced maintained weight loss and greater health and vitality with their products. If you’d still like to try their products, there are several promotional codes, like this one for 40 percent off, out there so you can try for yourself. Herbalife can be purchased through Amazon or using their Official Site.